Haul your clubs around with ease with the Courier Cruiser 3-Wheel Push Cart from Pinemeadow Golf. This cart features a two step folding design as well as having an adjustable handle angle with ball holder. Haul your clubs around with ease with the Courier Cruiser 3-Wheel Push Cart from Pinemeadow Golf . 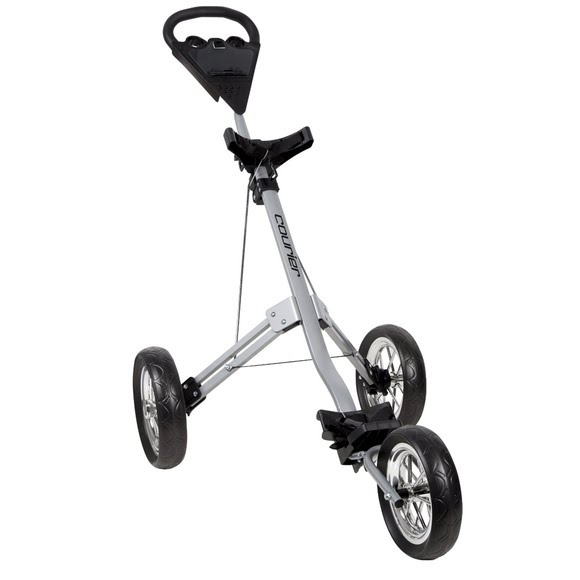 This cart features a two step folding design as well as having an adjustable handle angle with ball holder.